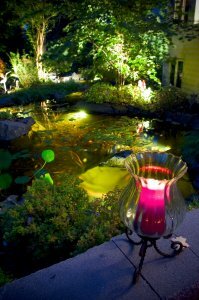 Pond lights add a new dimension to your pond or water feature by bringing it to life at night. With today’s busy lifestyle, it is often difficult to enjoy your pond or landscaping during the day. Pond lights will allow you to see and enjoy your fish even after dark. Up-lighting a waterfall provides a spectacular effect as you watch the light and water merge together and sparkle. A pond lighting system consists of low voltage pond lights and a transformer which are connected by low voltage cable. LED lights have become the preferred choice for ponds and water features since they draw much less power, can be used fully submersed or outside of the water and have a much longer bulb life than a comparable halogen light. A transformer should be selected which produces enough power (watts) to run your entire lighting system. Many transformers also include a timer or photocell so they are entirely automatic. 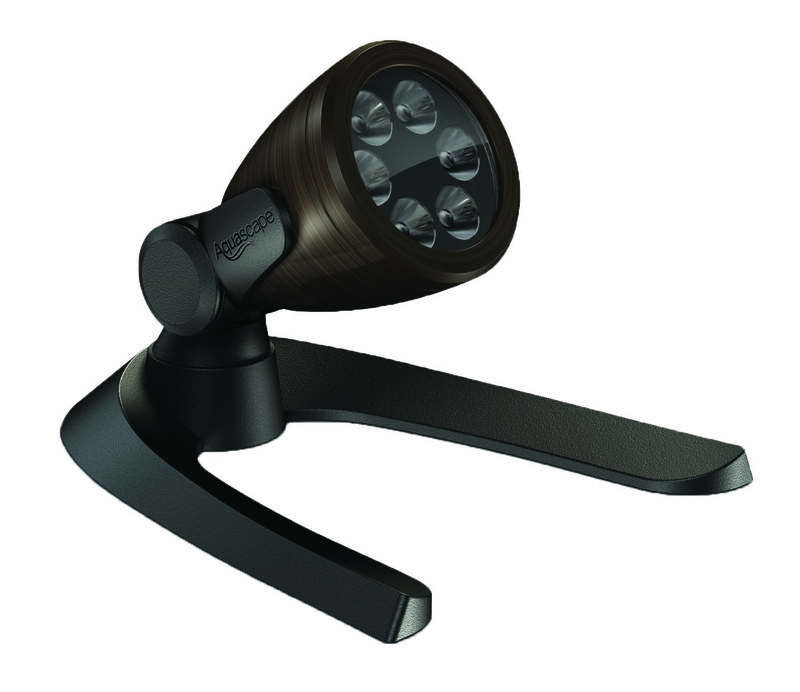 With True Pump’s complete line of pond lights enjoying your garden is easy – day or night!